5 steps to empower, explore, create, innovate and network ! Culture Outaouais, Théâtre Action and the Ottawa Arts Network invite you to the Digital Tour, a unique event to demystify and concretely appropriate the digital world in 5 steps! For the very first time, 14 cultural and arts organizations from both sides of the Ottawa River join forces to present both regional cultural sectors with conferences, exploratory activities and networking opportunities surrounding the digital reality. 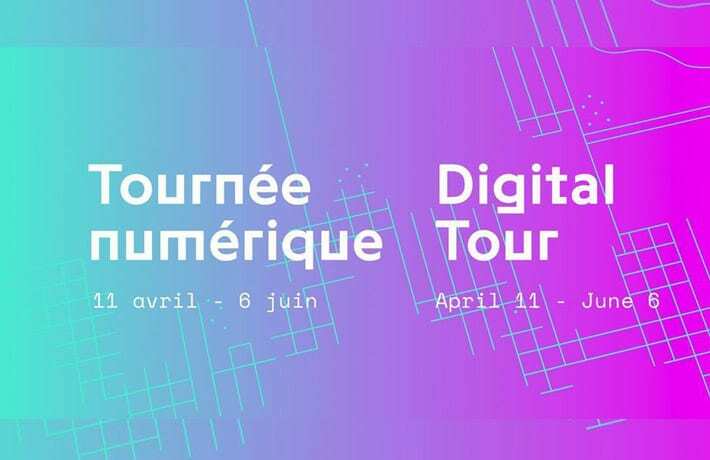 Visit the Digital Tour website here. The presentations are in French but discussions and questions will be in both languages. Please register with our online ticketing. Registration is free but required. You can sign up for multiple events at once.